MLK commemorative post: Dr. King fought against the majority. Today we have the same fight. Dr. King once said: “We shall match your capacity to inflict suffering with our capacity to endure suffering.” And so, today, we too, must sacrifice to take control of our lives once again. 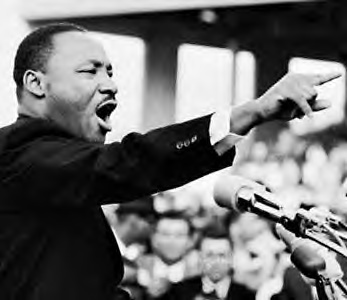 Dr King inspired others to face the powerful and established practice of discrimination. The discrimination which Dr King fought against was based on race, but it didn’t affect the mostly white US population. Society went about its business, just like today, but today our apathy led us to a recession that almost resulted in the total economic collapse of our country. Today we have a cultural acceptance of our powerful financial system, which has slowly grown and allows us to spend less and have more money in our bank accounts. The benefits of this system are for everyone, from the corporation to the consumer. Still, the situation threatens the very structure of our free society. 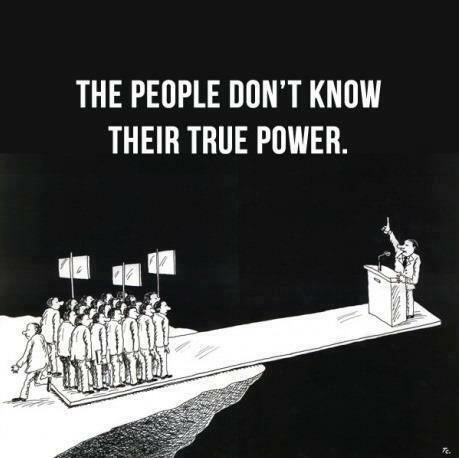 Power follows money, and today we see a movement of power from elected officials to a corporate minority. This concentration of power has grown so large that when the existence of a few banking and automobile corporations was threatened, the whole country was affected: Regardless if you were rich or poor, we lost businesses, jobs, and retirement savings. We can reclaim power over the institutions if we follow Dr. King’s advice: Sacrifice. A sacrifice of personal financial growth. As Dr King sacrificed, we too must sacrifice our way of life to correct the injustices of today: We must turn away the money that trickles down from careless and dishonest Wall Street bankers and the corporations. We must control our own finances and earnings to take back the power we are giving them. We must move our money to local banks and credit unions. Institutions should be dependent on us. Not us on them. Today, as in the past, we have a grave danger that cannot be ignored. We cannot continue to be apathetic about the division of the country into rich and poor, just as the population before the 1960s was apathetic about the division of the country by race. We cannot continue to watch our capital accumulate in the hands of the minority. The future of our society depends on our capacity to sacrifice and to recognize the power we have as consumers.